Concierge Medical Care Comes To the Middle Class : Shots - Health News Doctors are experimenting with direct primary care, a lower-cost version of cash-only concierge care. Patients pay a flat monthly fee for primary care, including email and phone contact. The old-fashioned pay-as-you-go model for primary care is getting tested anew. A growing number of primary care doctors, spurred by frustration with insurance requirements, are bringing "health care for billionaires" to the masses, including people on Medicare and Medicaid, and state employees. It's called direct primary care, modeled after "concierge" medical practices that have gained prominence in the past two decades. In those, doctors typically don't take insurance, instead promising personalized care while charging a flat fee on a monthly or yearly basis. Patients can shell out thousands to tens of thousands of dollars annually, getting care with an air of exclusivity. Direct primary care is much less pricey. Patients pay $100 a month or less directly to the physician for comprehensive primary care, including basic medication, lab tests and follow-up visits in person, over email and by phone. The idea is that doctors can focus on treating patients, since they no longer have to wade through heaps of insurance paperwork. They spend less on overhead, driving costs down. And physicians say they can give care that's more personal and convenient than in traditional practices. It's legal under the Affordable Care Act, which identifies direct primary care as an acceptable option. But since it doesn't cover specialists or emergencies, consumers still need a high-deductible health plan. Still, the combined cost of the monthly fee and that plan is often cheaper than traditional insurance. The health law's language was "sort of [an] 'open-for-business' sign," said Jay Keese, a lobbyist who heads the Direct Primary Care Coalition. Before 2010, between six and 20 direct primary care practices existed across the country. Now, there are more than 400 group practices, and more on the way. The total number of participating doctors may exceed 1,300. The American Academy of Family Physicians estimates that 2 percent of its 68,000 members offer direct care. "This is a movement — I would say it's in its early phase," said AAFP President Wanda Filer, a doctor in Pennsylvania. "But when I go out to chapter meetings, I hear a lot more interest." 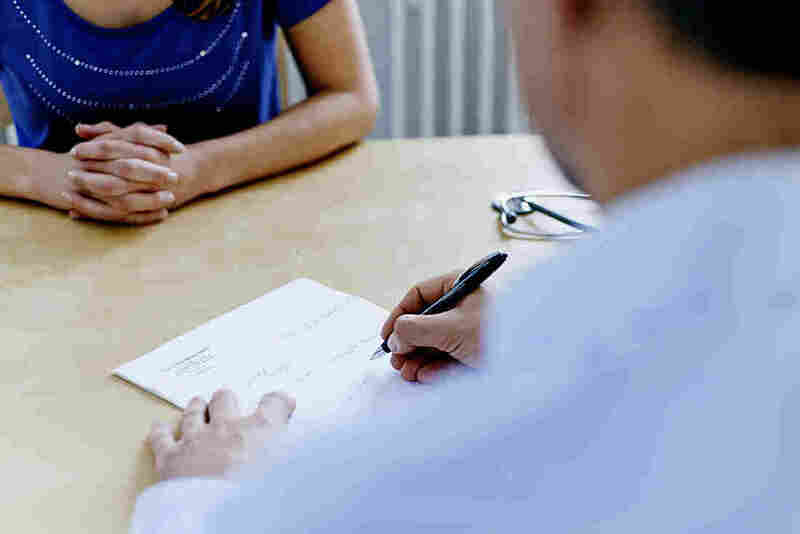 Even though the fees are much lower than concierge care, they could still be a nonstarter for people on a limited budget, said Robert Berenson, a senior fellow at the Urban Institute. "Can people afford this? Or is it [still] just for well-off people?" Doctors already offering direct care say they see patients across all incomes. Dr. Stanford Owen of Gulfport, Miss., says he treats "waitresses and shrimpers, as well as doctors and lawyers." He charges $225 for initial visits, $125 for a follow-up, if needed, and then about $50 per month after. Experiments underway to include Medicaid and Medicare patients in direct primary care could help mitigate concerns about affordability, Berenson says. In Seattle, a company called Qliance, which operates a network of primary care doctors, has been testing how to blend direct primary care with the state's Medicaid program. They started taking Medicaid patients in 2014. So far, about 15,000 have signed up. They get a Qliance doctor and the unlimited visits and virtual access that are hallmarks of the model. "Medicaid patients are made to feel like they're a burden on the system," said Dr. Erika Bliss, Qliance's CEO. "For them, it was a breath of fresh air to be able to get such personalized care — to be able to talk to doctors over phone and email." Qliance has a contract with Centene, an insurance company in the state's Medicaid program. That pays the monthly fee covering primary and preventive care, and also covers specialty and emergency services. If patients need a specialist, they'll get referred to one who accepts Medicaid. Advocates in other states, including North Carolina, Idaho and Texas, are watching to see how well the Qliance pilot project works while considering rolling out similar programs. There's little data so far. Bliss estimated that participants will cost Washington state between 15 and 20 percent less than traditional Medicaid. Before launching the Medicaid pilot, Qliance contracted with some companies that provide insurance to their employees, and found that employees who opted for direct primary care cost about 20 percent less than employees in traditional health insurance. Because patients get better care upfront, the theory goes, they're less likely to develop expensive chronic illnesses. Still, expanding this approach is tricky. The number of participating physicians is low. There's already a nationwide shortage of primary care doctors. In this model, physicians see fewer patients, potentially exacerbating that shortage's impact. Also, Medicaid negotiates the monthly payment rate, which could be less than what doctors might set independently. Employers are considering direct primary care, too. The state of New Jersey is launching access this year for state employees including firefighters and teachers. It's a hybrid. When participants pick a primary doctor, they can choose a direct primary care-style practice that gives around-the-clock access to preventive and primary care services. The monthly fee has not been determined. Participants will get benefits such as same-day appointments for nonemergency visits. When they pick this plan, which will be administered by Aetna and Horizon, they will have access to specialists who participate in the insurers' plan networks. In New Jersey, about 800,000 people will be eligible to enroll in direct primary care. The state is hoping to attract and accommodate at least 10,000 in the first year. That's appealing, said Mark Blum, executive director of America's Agenda, an advocacy group that helped develop the project. He cited interest in California, Texas, Pennsylvania and Nebraska as well. "There are a lot of eyes on New Jersey right now." Direct primary care is also finding traction with Medicare Advantage, the private health plan alternatives to traditional Medicare. Iora Health, a direct primary care system that contracts with unions and employers, a year ago launched clinics in Washington and Arizona catering to Medicare Advantage patients. Iora is setting up similar clinics in Colorado and Massachusetts. "It's not for the faint of heart," said Dr. Rushika Fernandopulle, Iora's CEO. This story is part of a collaboration between NPR and Kaiser Health News.